Generators of used oil, and waste in general, are required by law under the Waste Act to ensure that their waste is responsibly managed. Those who generate more than 20kg’s of hazardous waste per day are also required to register on the National Waste Information System (SAWIS) and to report on the volumes generated and taken away for recycling. Those who fail to comply with the rules and regulations set out by the current legislation also face penalties such as fines or even jail time. It has therefore become the legal obligation of South African businesses that generate waste such as used oil to ensure it is responsibly collected and taken away to a registered facility for processing and recycling. 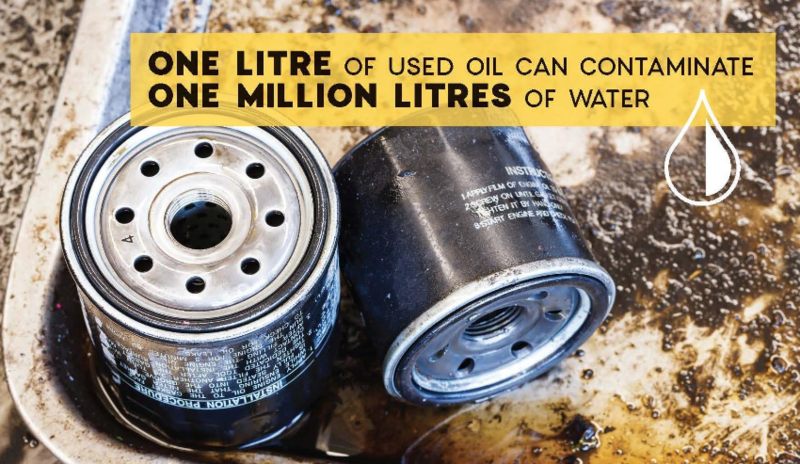 Coupled with this is the fact that used oil is a hazardous substance – with one litre being capable of contaminating a million litres of water – and so generators also face a moral responsibility to ensure their used oil does not end up in the environment. With nearly 11 million vehicles on the road in South Africa currently (10 867,578 according to latest eNatis statistics) and over 3000 registered workshops, not to mention the unregistered and back-yard mechanics servicing the majority of these vehicles, there is a huge volume of used oil being generated in the automotive sector. Bubele Nyiba, CEO of the ROSE (Recycling Oil Saves The Environment) Foundation says that whilst the mayor workshops are compliant with the requirement of the Waste Act, the problem exists in the pricing structure for used oil. South Africa to follow international best practice? Nyiba explains that best practise in other developed countries sees the used oil generators paying the collectors to take away their waste, as opposed to the current South African model which is the other way around. Nyiba further ponders whether South Africa will follow international standards in this regard as it has in many others. ROSE collectors can also safely remove related wastes such as used oil filters, oily rags, and oil soaked sawdust for responsible disposal and/or recycling. These added value services allow automotive service centres to ensure they remain compliant with waste legislation. “Finally, the ROSE Foundation and workshops need to work closely together to correctly channel the direction of used lubricating oil. We are encouraged by our ongoing discussions and interactions with the Retail Motor Industry Organisation (RMI) to forge together a common approach to managing used oil. Our combined efforts should leave a lasting legacy on avoiding the harmful effects of used oil to our environment,” concludes Nyiba.